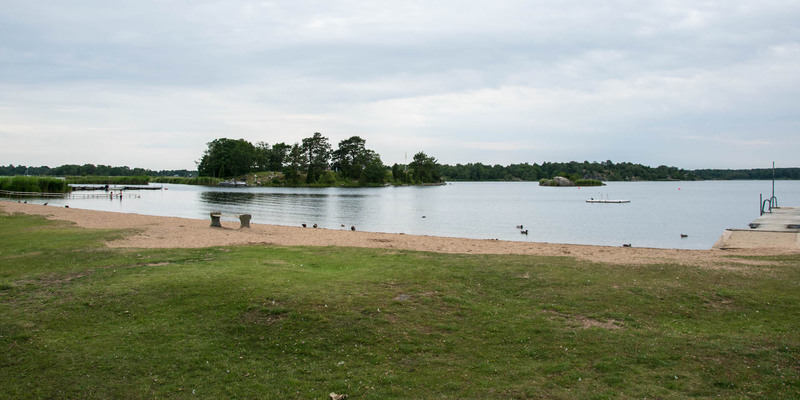 Ekenäs Badplats is a large beach on the headland Ekenäs in Ronnebyhamn, about 5 kilometers south of Ronneby. 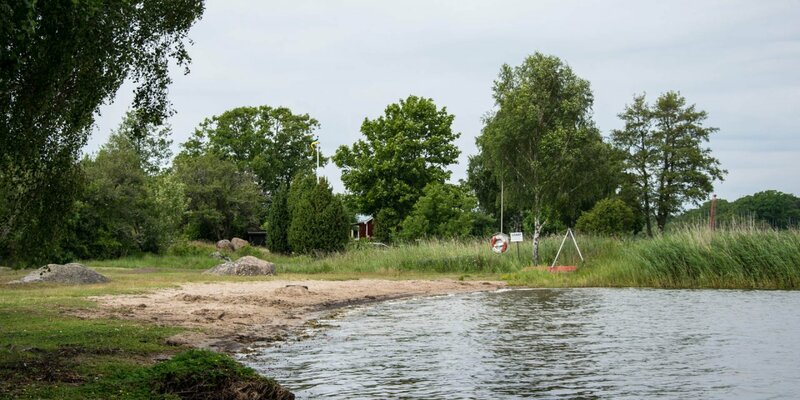 The bathing place Ekenäs Badplats consists of an approximately 100 meters long sandy beach with a shallow, child-friendly shore and a large lawn. It has a bathing bridge as well as a wheelchair ramp, an area for beach volleyball, toilets and changing rooms. 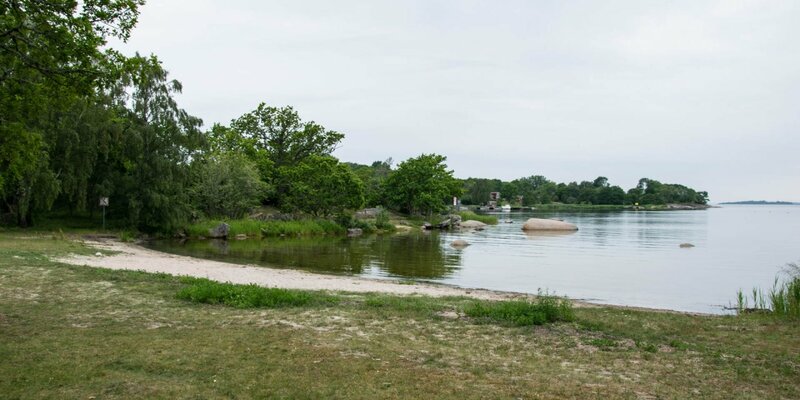 There is also a small campsite with a kiosk which offers coffee, ice-cream and cold drinks. 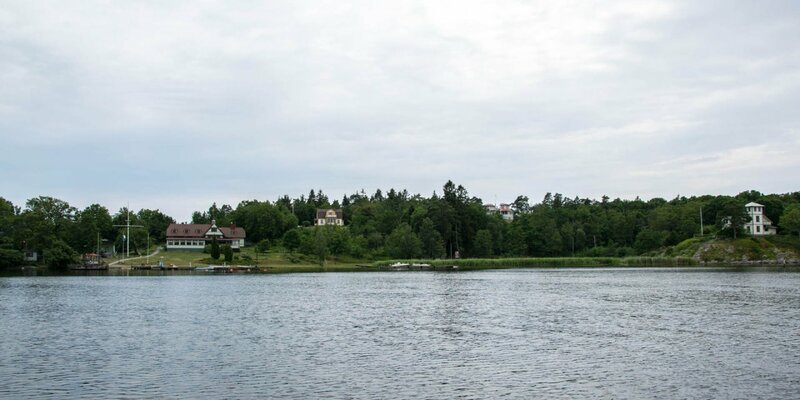 About 500 meters south, at the tip of the headland, is a restaurant and a marina with the ferryboat pier to the nearby island Karön.